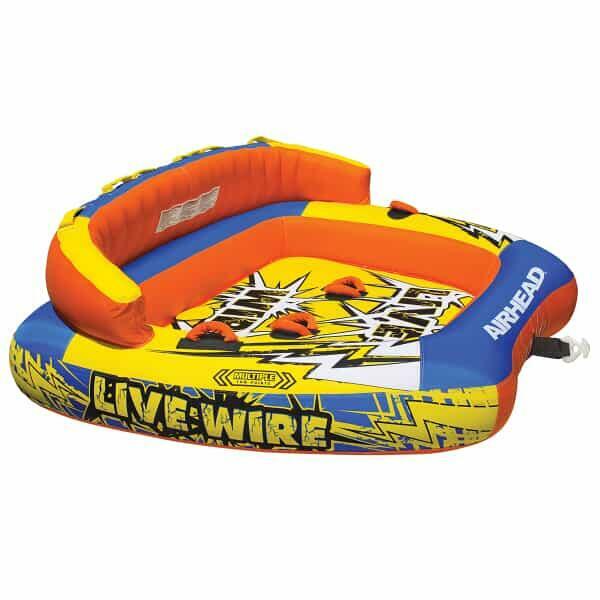 The Airhead Live Wire inner tube comes alive with brave and exciting energy behind a boat. The Live Wire features two towing points, so you can ride sitting down style, with the comfort of a backrest and a roomy cockpit, or you can tow from the opposite direction and sit in a kneeling style. From both directions, there are many comfortable foam filled nylon handles. The luxury handles even feature neoprene knuckle guards! The Live Wire is easily inflated and deflated with the help of patented Speed Safety Valves by Kwik Tek. The Kwik Connect tow point provides easy hook ups from both directions. The center of the Live Wire features a heavy gauge RF welded vinyl bladder and is covered in double-stitched full nylon covering. The tube features self-bailing drain vents so that the Live Wire doesn’t take on and hold water. 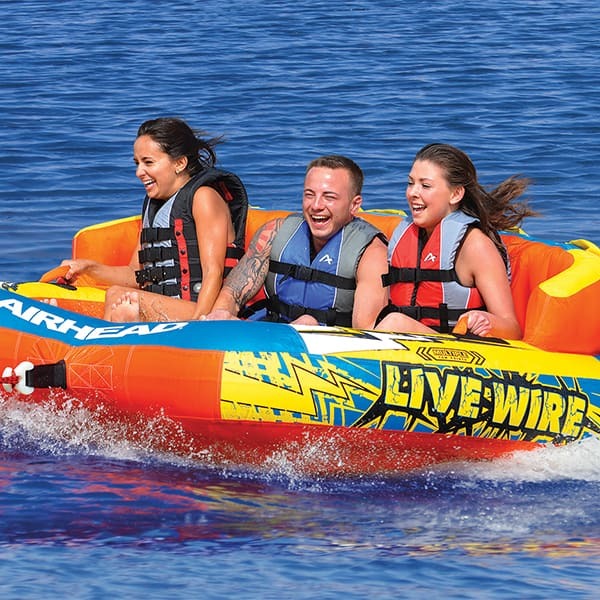 Spice up your tubing game with the innovative two-in-one design by Kwik Tek!